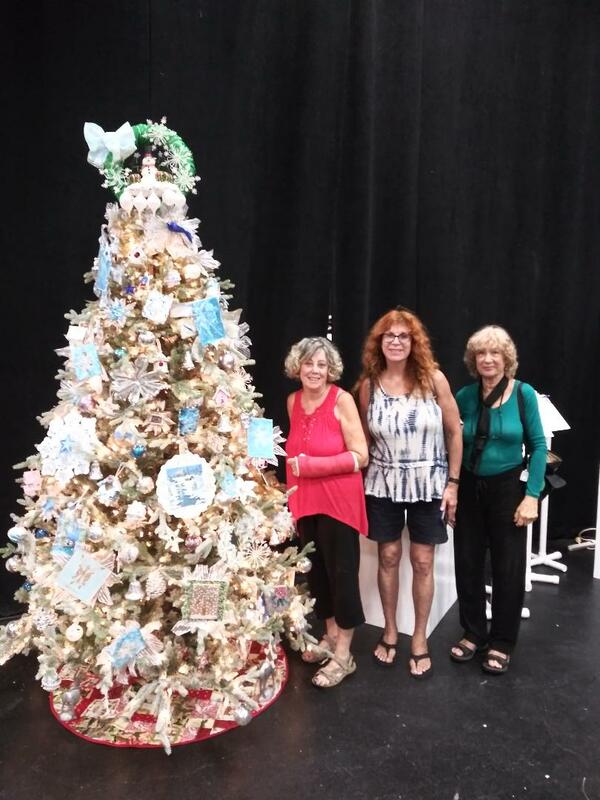 Each year our Art Club members participate in the Annual Festival of Trees (this is the 4th year) by creating ornaments with a theme, and decorating a tree that will be auctioned off to benefit the Children's Riverside Theatre. 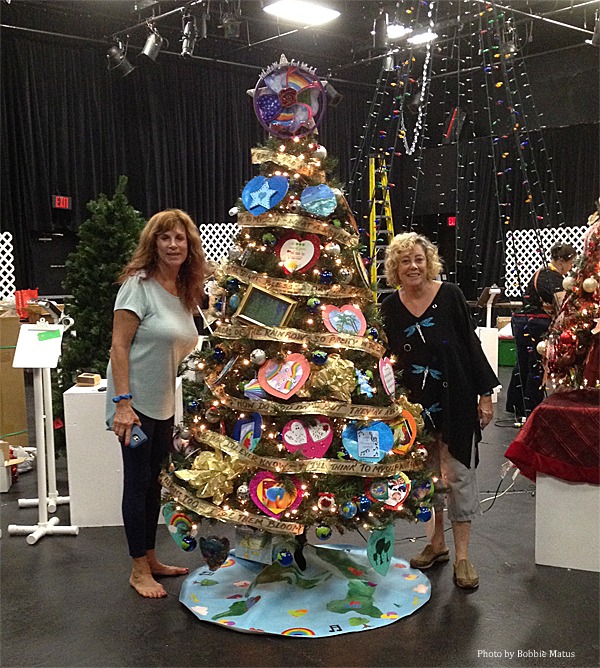 Be sure to visit at the event this year and mid on our beautiful tree. We participate in Festival of Trees each year and we need ornaments. Our Junior Members made some ornaments at their quarterly meeting in August. Stephanie Lovallo brought some ornaments and supplies and showed them a new technique. 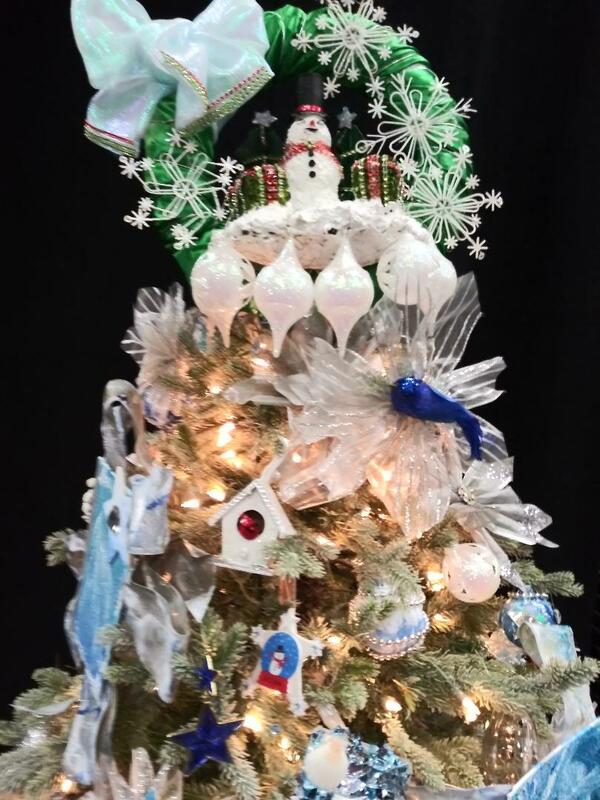 The theme for this year's Festival of Tree's is "WINTER WONDERLAND". Our wonderful Art Club members made lots of beautiful ornaments to decorate our 7 foot tall tree for this year’s event. The photos at the right and below are from the previous year (theme was “What a Wonderful World” Louis Armstrong’s song.